This probably means nothing; or it means everything. 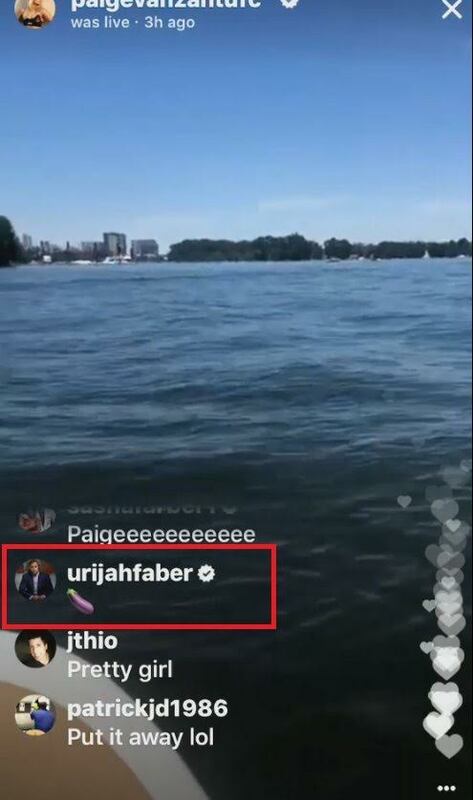 Urijah Faber is sending Paige VanZant one symbol emoji comments on her videos and there just has to be a deeper meaning to all of this. Emoji have taken on a language all their own and even most the badass fighters in MMA are not afraid to express themselves via cute icon. So when Faber sends his longtime, now ex-teammate VanZant a simple eggplant emoji the situation explains itself. This is something. Even if you are not fluent in emoji, you can probably translate what the meaning is behind an eggplant symbol. Go on think about it. Shoot your shot CA kid. When we last saw, PVZ in the cage she was being choked to sleep by Michelle Waterson but this breaking emoji news clearly signal Paige VanZant will be back in the cage sooner rather than later.